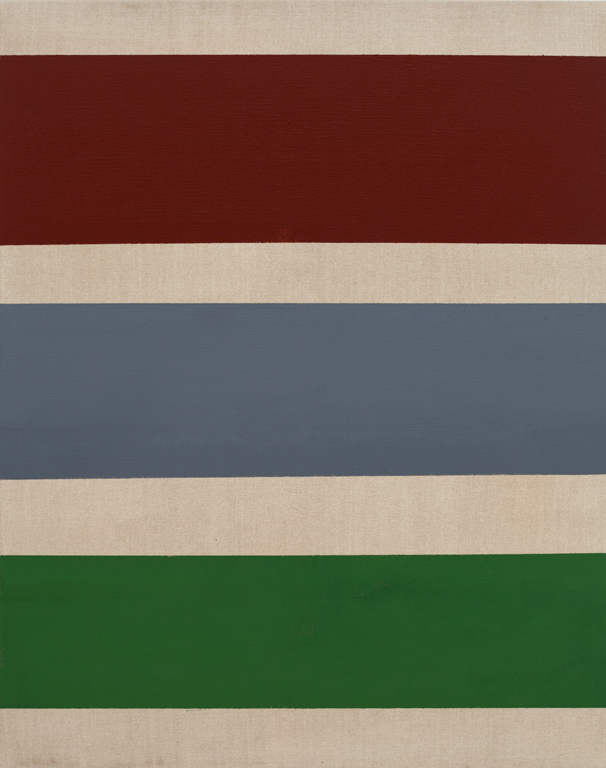 The Painting Center presents Band, an exhibition curated by Stephanie Buhmann, featuring a selection of abstract paintings based on lines, banners, and associations of the grid. In the canon of nonobjective painting, there have been many artists to pursue purity of form through geometry, employing line as a predominant visual element. Agnes Martin, whose retrospective at the Guggenheim Museum, New York, will coincide with this exhibition (October 7, 2016 - January 11, 2007), is one who immediately comes to mind. 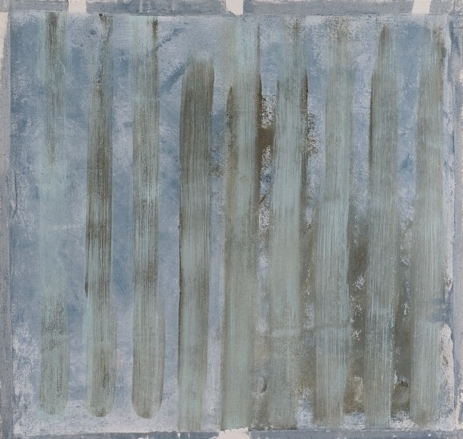 According to Martin, it was Mark Rothko, who had “reached zero” in his luminous compositions “so that nothing could stand in the way of truth.” Following his footsteps, she began to exclusively focus on reductive elements, searching for a classic perception of perfection, one that could be linked to antiquity. While she admitted that one cannot “make a perfect painting,” she stressed that “we can see perfection in our minds.” To her, perfection could emphasize a sense of transcendence and from 1960 onward she pursued it vigorously in a signature style rooted in lines and grids. More than half a century later, Martin’s ambitions still resonate. Many contemporary abstract artists continue to explore the simple structures and rhythms that lines can create when working against a grid, be they vertical, horizontal, diagonal or loops; they believe in the expressive range that can be achieved. Among them are Pat Badt, Bettina Blohm, Marthe Keller, Julie Shapiro, Kim Uchiyama and Joan Witek, six mid-career East Coast painters. While the works of these six artists vary significantly in stylistic approaches, they also have much in common. Above all, they share a concentrated devotion to the repetition of line as a predominant compositional feature. These lines might manifest as broad strokes and thick bands or be fine and precise; they might be rough, slick, straight, wavering, or translate as a seemingly endless loop. In all cases, they are employed to capture and distill meaning, experience, emotion, and gathered information.